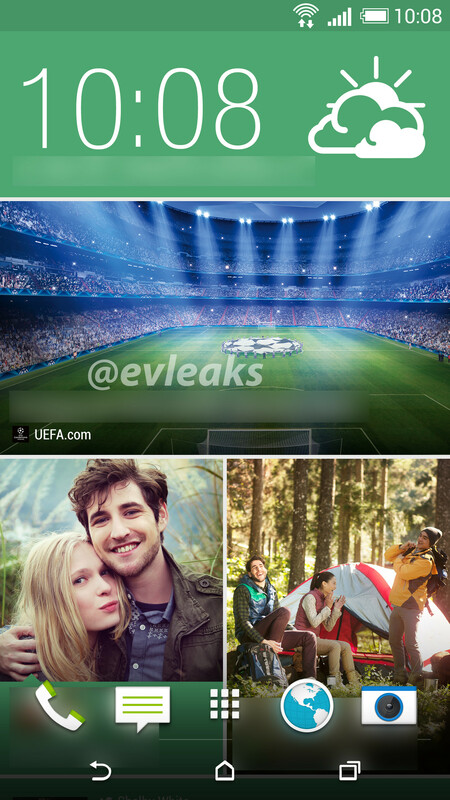 Rumors about the HTC One follow-up (known internally as the M8) having on-screen navigation buttons first circulated at the end of January through a Tweet by industry leaker, @evleaks. This afternoon, he’s backed up that report by Tweeting a purported home screen picture from the device, showing that it does indeed have on-screen navigation buttons. Other than the on-screen goodness, we’re still looking at HTC’s Sense skin atop Android. This screen shows BlinkFeed – which you either love or hate – and the typical bottom four Sense-themed icons surrounding an app launcher button. 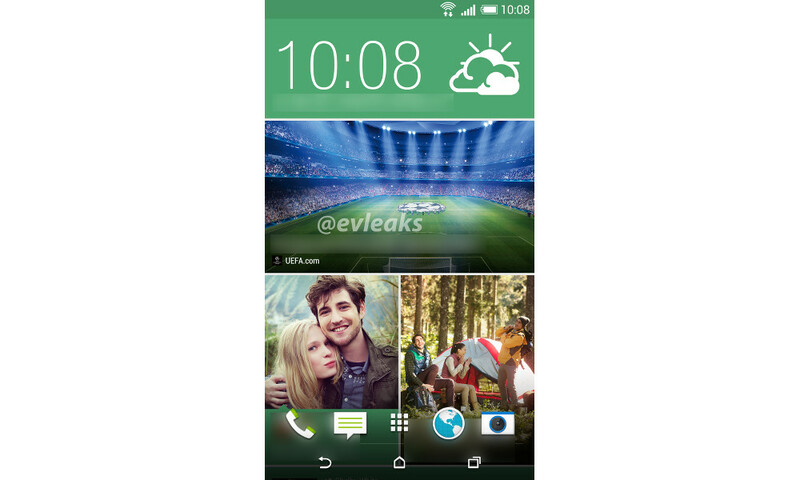 There are transparent notification and navigation areas, something that was supposed to become a standard with Kit Kat. Speaking of KK, I think we can assume that the device is indeed running Android 4.4.2, since it’s brother from 2013 already is on a number of carriers. And that’s all we are really seeing. The navigation buttons are (in order) back, home, and multi-task, the three that Google has taken up as the standard for stock Android. Below, we included the full-resolution screenshot, so you can see it all.